"The award-winning children's author Philip Pullman today launches a broadside against the government's "brutal" school testing regime, warning that it is creating a generation of children who hate reading and "feel nothing but hostility for literature". "Writing in Guardian Education, the author of the acclaimed His Dark Materials trilogy attacks a lack of focus on enjoyment in the teaching of reading and writing. Drilling to meet the demands of tests makes children's writing "empty, conventional and worthless", he says." "Campbell's picture book explores a world rarely seen in children's literature. The heroine is a little girl named Annie whose mother struggles with bipolar disorder..."
"[Bott] was his god-daughter and the book is intended as a loving memorial. The narrative is skimpy, however; his unremarkable letters are paralysingly quoted in toto and there is no attempt at either analysis or evocation. But the man none the less compels..."
"There are hints of romance, lots of gadgetry to keep the boys interested and a nicely paced plot. With potentially intriguing character traits in the characters that promise some revealing moments in later novels the book sets up the series well." "Handler's pyrotechnics take in crumbling prosthetic bones, a season of anti-semitic operas and an indefatigable golem..."
"...beautifully written, and polished to a lapidary gloss. It reads less like a novel than a memoir, reserved and distant, a record of events so skilfully arranged that everything shows to advantage. Everyone is invested with dignity, the most commonplace remark is rendered poetic. There are heroes, villains and martyrs, but no idiots." What message, one wonders, is to be drawn from the timing of this review (less than a week ahead of the public announcement of the winner of The Guardian Children's Fiction Award, for which Almond's book is one of the four shortlisted titles)? "According to the Massachusetts Film Bureau, production on "Lemony Snicket" based on a series of children's books and starring Jim Carrey, will begin in Marblehead the end of October..."
"Simon & Schuster Canada is voluntarily recalling about 1000 copies of the children's board book DORA THE EXPLORER: Whose Birthday Is It? The book is manufactured with a plastic replica balloon that can detach, posing a choking hazard to young children... ..."
"Last October, the Evening News reported how city children's author Joyce Dunbar had had her porch destroyed twice in one year by cars mounting the pavement. Norwich City Council responded to her complaints by fitting the bollards... Mrs Dunbar said she was pleased with the improvements but wished drivers were more responsible." "There are some pretty stylish things in Harry Potter -- invisibility cloaks, i.e., the only item that goes with everything in a girl's closet," the caption reads. "Mary Alice Spiegel, children's librarian at the Cleve J. Fredricksen Library in Camp Hill, says she knows kids love the books "because they're not usually on the shelves." Seventeen copies of "The Slippery Slope" have been reserved at both the Camp Hill and East Pennsboro locations. " 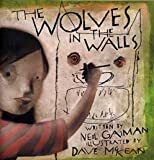 Neil Gaiman's Journal remains the most compelling of online author diaries/blogs. "The Silver Child is an odd book, one in which words often seem deliberately and wonderfully incongruous. It's also thought-provoking, heart-warming, not too long and, in its current form, has a remarkable cover that seems to change colour when the mood takes it. What more can I tell you?" "Walter, The Farting Dog has blasted to the top of the New York Times bestseller list for illustrated children's books, reviving fond memories of the real Walter in the New Brunswick capital where he spent his life, much of it surrounded by a near-toxic cloud..."
"Now the book world is anticipating the return after seven years of Gaiman's most famous character, the Sandman, the tormented Dream King who rules the world of our nightmares but who can find no rest of his own..."
"Bott, who is Bestall's goddaughter and inherited the vast majority of his early work ('You will have to have a huge bonfire,' he told her, unassuming to the last) has done a diligent job. She has logged every available detail of his 93 years on the planet; she has included long extracts from his journals; and she has produced a 35-page appendix listing every single piece of art he ever produced, plus fee. The truth is, however, that AEB's life (the 'E', wonderfully, is for Edmeades) was quiet almost to the point of inaudibility..."
Robert Cormier's novels are still causing controversy. Here's an article about someone calling for the withdrawal of We All Fall down from an American High School curriculum. "The brand management group Chorion, which has owned and managed the rights to Enid Blyton's output since 1996, has announced a deal giving Five the first rights to participate in the production of any new television programmes..."
"Madonna has explained that she was driven to write these stories because when she came to read to her son Rocco, she found that children's books were all about princes and princesses and happy endings, and never about anybody "struggling for things". She must have got them from an antique shop. Children's literature today, even for the very young, majors on broken families, inner-city deprivation, handicap, and bereavement, as every parent knows." Telegraph | News | Once upon a time there was a pop star . . . Lengthy report, with full-length picture of Madonna at the event. "Guests who attended the tea party, many of whom had brought their own children, included author Martin Amis, designer Linda Barker, chef Gary Rhodes and Nigella Lawson... ..."
"Many of the star's celebrity friends and their children are expected to be at the party in Kensington, West London, on Sunday..."
Nor have I set sight on the book yet. "Am-dram frustrations and mishaps abound, but you never forget how magical the theatre can be. For anyone who does know their Shakespeare, echoes from the plays are scattered everywhere. Anyone who doesn't couldn't wish for a better way to get acquainted with young Will. This is a hugely enjoyable and dazzlingly clever novel." Claire Armistead reports on the comments made about books on the Guardian longlist, by readers who entered the paper's children's book reviewing competition. "A "celebrity A-list" of authors led by Nobel Prize winner Toni Morrison was yesterday announced as coming to Norwich for the University of East Anglia's International Literary Festival..."
NYT Obit. of agent who represented the likes of S. E. Hinton and Robert Cormier. "...a dramatic adventure in a powerfully imagined setting, which follows youngsters through dangers involving a drifting raft, a shark attack, an armed uprising, fire, earthquake and paternal bad moods." of four. Simon French, Keith Gray, Marcus Sedgwick and Jean Ure were the omitted authors. There was a big celeb-style profile of Georgia Byng in The Telegraph Magazine, Saturday 6th September, to tie in with publication of her second Molly Moon book, Molly Moon Stops The World. Grass For His Pillow by Lian Hearn, the follow-up to Across The Nightingale Floor, was reviewed in the Telegraph by Charlotte Moore on Saturday. "...You can read it because it makes vivid a hundred details about life in Tudor England, or you can read it because it brims with the love of our greatest writer, and doesn?t treat him too reverently. Either way, it is a joy." "Writing as vital and evocative as this can stand alone without a supernatural crutch to prop it up." "Linda Newbery might have done better to focus more heavily on the intricacies of the present than let herself get quite so entangled with the particulars of the past." Three more novels -- Ryland's Footsteps by Sally Prue ("challenging stuff"); Small Gains by KM Peyton ("a wonderfully romantic story told by a feisty teenage girl"); and The Braves by David Klass ("a gripping account of the churning complexities of adolescence") -- reviewed more briefly by Julia Eccleshare. "Kate DiCamillo, the Minneapolis author of 'Winn-Dixie' fame, is back with a fairy tale featuring an unlikely hero..."
"Throwing away the dust jacket of a novel or children's book could be the most expensive mistake the owner has made, according to a survey..."
"A guide to Britain's most valuable books published today shows that first editions of JK Rowling have some way to go before eclipsing Beatrix Potter..."
Phew! Made the self-imposed deadline (6pm), more or less - though we were still deleting old files as new ones were uploaded. Must wait now to see what the reaction is. No messages on the TagBoard yet, so too early to say.